Wayne Rooney has been named England Player of the Year for 2015, retaining the title he won in 2014. The Manchester United forward earned 37% of the votes cast by members of the England Supporters Club and has now won it four times. 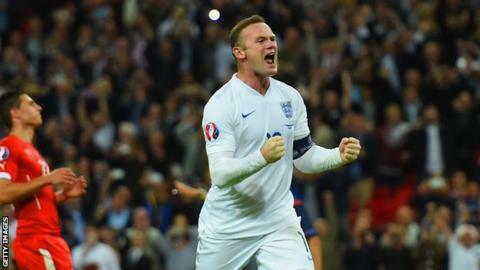 England captain Rooney, 30, scored five goals last year, overtaking Sir Bobby Charlton as England's record goalscorer during Euro 2016 qualification. Stoke City goalkeeper Jack Butland was voted Under-21 Player of the Year. In the vote for the senior player of the year, Spurs striker Harry Kane was runner-up with 30% and Manchester City goalkeeper Joe Hart in third place with 19%. Butland took 54% of the Under-21 vote, with Manchester United midfielder Jesse Lingard and Southampton's James Ward-Prowse both picking up 15%.